Sponge Media is an open-celled, synthetic sponge that contains abrasives or cleaning agents. 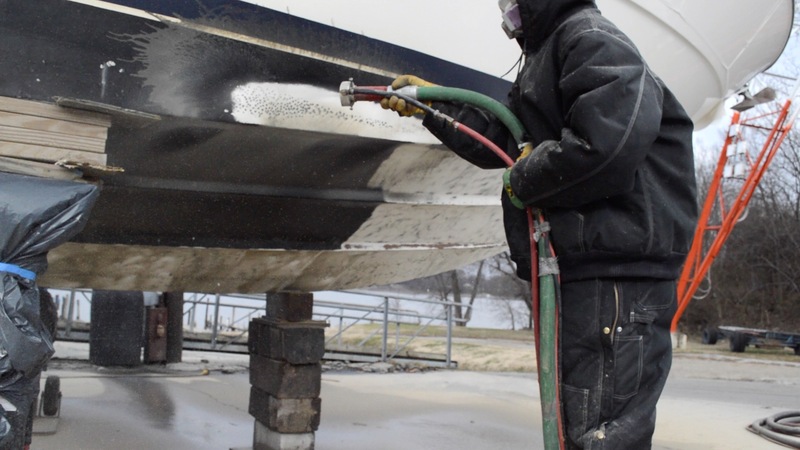 The diverse range of abrasives and micro-abrasives imbedded in the sponge allow it to be used in a wide range of jobs, from aggressive blast cleaning, to selective stripping of individual layers of coatings, to delicate cleaning and decontamination on highly sensitive substrates. The sponge particles flatten upon impact, exposing the abrasive in the cells and scrubbing the substrate. The sponge cells then expand and pull back from the substrate, creating a vacuum that traps 95% of the dust, debris, and airborne contaminants that would otherwise be released. Minimal Containment: the minimal airborne contaminants released reduces disposal costs. Environmental friendly: the sponge media is recaptured and repeatedly recycled. Precision Use: ability to precisely control dust and ricochet allows blasting near sensitive equipment and surfaces, and delicate control systems. Low disposal costs: the minimal airborne contaminants released reduces disposal costs. Variety of uses: because of the range of abrasives that can be contained in the sponge media, it can be used on a wide array of surfaces, from heavily rusted steel to cleaning grease and oil from heavy machinery without damaging hoses or fittings.